Is Bernice Burgos Lesbian ? Bernice Burgos is Instagram sensation, model and music video actor; active since the 1990s. She has dated Drake, T.I. and businessman Marion Knight. She has two daughters: Ashley and Sarai. She has her own clothing line Bold & Beautiful. She seems to have grabbed the attention of the social media users with her curvy looks, bold physical feature and hotness quotient. Bernice Burgos is an entrepreneur, businesswoman and Instagram sensation. Burgos seemed to have grabbed the attention of social media users with her curvy looks, bold physical feature and hotness quotient. Apart from being an Instagram sensation, she also featured in music videos, magazine covers, modeling events, and fashion shows, worldwide. Burgos is currently single and is a mother of two daughters: Ashley Marie Burgos and Sarai Burgos. Though she never revealed the identity of the father of her child. Bernice Burgos was born to Puerto Rican parents on April 17, 1980. She was born in the Bronx, New York City, New York, the USA. She was raised in the tri-state area between New York and New Jersey. Apparently, Burgos started her career working as waitress and bartender at a local pub/ restaurant at the same time. It is believed that she had to work as bartender due to poverty. She started her modeling career in her 20s. Burgos's works in commercials and music videos helped her nab opportunities to grow and improve her modeling skills and aptitudes. The success of her music videos earned her the opportunity to walk the runways for the fashion shows. She managed to charm audiences and critics alike with her attitude, skill, and modeling. Her appearance in MTV's show Wild 'N' Out helped her to gain more opportunities. The success of the show put her on the spotlight as she was regularly featured in the men's magazine covers for the publications such as Show magazine, King magazine, XXL Eye Candy, The Source, Show Black Lingerie, etc. She featured in the music videos like J. Cole's 'Work Out', Hal Linton's 'Southern Hospitality', Jaheim's 'Ain't Leaving Without You" and Rick Ross's 'Diced Pineapples' that also featured Drake and Wale. She continued working as the bartender, even after her popularity grew further. Currently, she is enjoying her successful career as an Instagram model-star and an entrepreneur. She has over 3.5 million followers on Instagram. She also launched her own clothing line for lingerie products called Bold & Beautiful. She is still working hard to improve her career. Bernice Burgos was romantically linked with the Drake, T.I. and businessman Marion ‘Suge’ Knight. 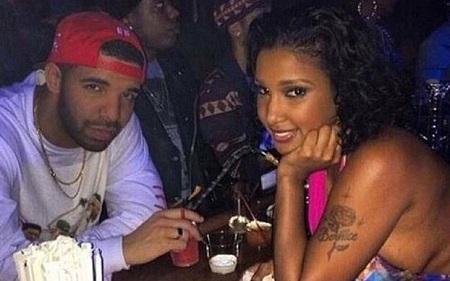 Bernice and rapper Drake met each other for the first time in their career in 2012; during an event. The pair hit it off and started dating each other for a while. The pair didn't shy away from showing their love to the public. They were spotted many times holding hands and cozying up with each other. Bernice even attended parties, events, gala dinners and awards ceremonies with her love Drake. It was reported the pair were first seen together while vacationing in Australia in the early half of 2015. It was also rumored she had engaged with Drake secretly. Not much detail has been known whether they had a fall-out due to Drake's popularity with girls, the clash of their personalities and professions or the differences. But, they formally ended their relationship in the latter half of 2015. 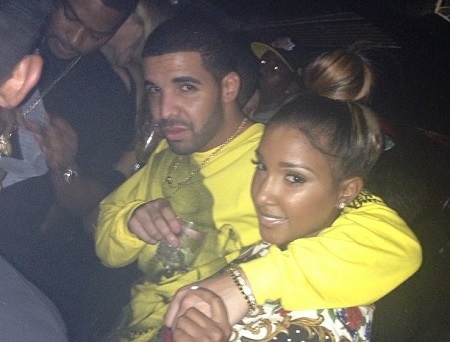 After their split, Drake was seen with other women and Bernice dated businessman Marion Knight. In an interview, Bernice responded that she and Drake have a good relationship despite their failed relationship. Bernice and rapper T.I. dated after she was impressed with his love and affection towards her daughter. T.I was a father figure for her daughter and the pair had a romantic relationship for some time. Can we talk to WhatsApp now? They were spotted many times during their trips to Las Vegas and Atlanta. The pair decided to call off their relationship in 2017; after T.I. fell in love with his former flame Tina Fey again. Bernice and Tina had major dispute and argument regarding their relationship with T.I. It is also rumored that Burgos ended her relationship with T.I. as she didn't want to be just his side-chick and sexual partner. Bernice is a single mother to her daughters Ashley Burgos and Sarai Burgos. She raised her daughters alone and gave them the best lives. They spend family time together and are often seen having good times together. Aside from her relationship with her daughters, she and her daughter Ashley have similar interests, body structures and behaviors. Ashley was born when Bernice was 15 years old. Her daughter Ashley sometimes resembles her. Bernice Burgos has an estimated net worth of around $1.1 million. Her career as a model, music video actor and an Instagram star earned her enough to live a happy life. From her modeling life, it is estimated she amassed up to $500 thousand as her annual income. Furthermore, she seems to have increased her wealth and fortune with monetizing her Instagram and her business deals. She also earned considerable amount from her franchise of luxury lingerie "Bold & Beautiful." It is also rumored that at one point she had amassed a net worth of $1 million between 2015 and 2016.